Is Dialogue a Basis for Christian Unity? I have to confess to a certain annoyance with buzz words-warm fuzzy jargon words like "dialogue" and "inclusion." I'm sure at times the annoyance has been of my own creation. They can be perfectly good words after all. But at some point on the I'm-ok-you're-ok train these words picked up some unwanted baggage. Take the word "dialogue" for example (or "conversation" if you like). It's a fine Christian word if it simply indicates a willingness to take others seriously, speak to them humbly, and consider their ideas responsibly. But "dialogue," in contemporary parlance, usually means far more. It implies a disdain for monologue. One-way proclamation is just too self-assured, too settled, and too propositional. For many postmoderns, truth is a journey. Consequently, we are suspicious of those who claim to have arrived at some destination. No one is supposed to know anything for certain and certainly no one knows they're right. So, of course, dialogue is the only way to truth. Dialogue, in the end, may be truth itself. The call for dialogue among Christians often comes from those with inter-faith sensibilities. Now, hopefully, it is obvious that talking respectfully and intelligently with people of other religions is a good thing. It may not be as obvious, however, that in many circles dialogue serves as an antidote to evangelism. Instead of hoped for conversion, the goal is open-minded conversation. In fact, believing too strongly in the rightness of one's convictions is considered dangerously closed-minded and a barrier to genuine dialogue. If our goal is persuasion-which ought to be at least one of the goals for Christians talking to non-Christians-I'm simply not convinced that dialogue is the way to go. For starters, the doctrinal edges of Christianity are often smoothed over in inter-faith dialogue so as to be non-distinct. In the book Buddhists Talk about Jesus - Christians Talk about the Buddha, Grace Burford, a practicing Buddhist scholar wonders aloud about her Christian counterparts in the book. She asks, "If they were so taken by Buddhism, why did they hang on to Christianity?" Sadly, the Christianity presented in inter-faith dialogue is rarely historic orthodoxy, and more frequently a secularized, syncretized version of Jesus-appreciation plus Western-style tolerance. Maybe this explains Burford's title to her chapter: "If the Buddha is So Great, Why are These People Christians?" (quoted in Timothy C. Tennent, Christianity at the Religious Roundtable, 9-10). Even for the committed Christian who holds to historic Christian orthodoxy and is a little less enthusiastic about the Buddha, dialogue, sometimes a good foot in the door, can only go so far. A few years ago I asked a retired missionary who spent many of his years in ministry facilitating Christian-Muslim dialogue how many Muslims he saw come to know Jesus from their inter-faith dialogue. "None," he told me. Then I asked if he ever saw any Christians convert to Islam. "Sure," he said, "a few." Hardly a ringing endorsement for reaching the unreached by dialogue. Intra-Christian debates are just as overrun by dialogue - the tool of choice for resolving (read: delaying) denominational conflicts, especially those having to do with homosexuality. The plea is always for more talking. But do we ever call an end to the meeting of the minds and simply make up our minds? Do we ever declare, ala Martin Luther, "Here we stand"? Are there any issues so clear and so important that to spend time in dialogue would not be a sign of patient discernment but of cowardly equivocation? Does there come a time when the need to rest on the side of truth means we resign ourselves to the fact that there are going to be "winners" and "losers"? When do we swallow hard and admit that it's fruitless to dialogue for the sake of unity when both sides don't agree on anything except the most nebulous, ambivalent, watered-down expressions of Christianity? I think the Apostle Paul would be truly exasperated by our endless conversation. No doubt, he was willing to continue teaching and "dialoguing" with people who wanted to know more about Jesus. But for deserters and false teachers, he had little patience. He called them out by name-Alexander, Hymenaeus, Philetus, Demas, Phygellus, Hermogenes-and warned his fledgling flocks, "Be on your guard against them." So much for dialogue. And then there's the word "inclusion." Another fine word in its own right. Considering the church's spotted past in excluding people for the wrong reasons-too poor, too black, too awkward-inclusion can sound awfully good. And it is, when by "inclusion" we mean something like "welcome." The church, of all places, should be an inviting haven for any sinner-come-lately and any socio-category that treasures Jesus in faith and repentance, or is simply looking for spiritual guidance. So what's the problem? The problem is one of boundaries. I am convinced that most of our wrangling in churches and denominations is over where to put up fences. What are the boundaries for fellowship? Membership? Leadership? What does one have to believe, say, or do in order to be counted as one of us? Where inclusionists have gone wrong is in removing theological and ethical boundaries that are essential in defining what it means to be Christian. If anyone and everyone are too easily included, we are saying in effect that anything goes. We are disclaiming boundaries. And as our membership is more and more made up of those who will not or cannot confirm some measure of adherence to the core practices and values of the defined community, that community as we have known it will disappear...if even initial membership is without qualification, then we stand for little other than being nonsensically "inclusive." If belonging is without obligation and accountability, then we finally have not joined much of anything at all, and any significance that community might have held for us evaporates like mist ("Good Fences: The Boundaries of Hospitality," 29). It should be commonsense when you stop and think about it. What is the great humanitarian feat in having all kinds of people join some inclusive institution, when the institution itself has no boundaries to define what it means to be a member? It's kind of silly to speak of joining a group that doesn't stand for anything and doesn't turn anyone away. What, then, have you really joined? Of course, in the end, inclusive churches and other institutions do have boundaries. Even the most wildly accepting community draws the line somewhere and excludes some people, usually those who are less wildly accepting of the same things they are. In other words, every institution, if it is any kind of discernible community, has its own creed and convictions. Some are published, publicly recited, and rooted in Scripture. Others are unwritten, but no less powerful. Every group that can be meaningfully joined stands against some other group. Inclusive churches are inclusive of gays, lesbians, and doctrinal innovation. But they are exclusive (though it won't be written down in any by-laws) toward those who cannot tolerate homosexuality in the church and advocate doctrinal standards. For inclusionists, nonjudgmentalism does not usually extend to those who put up their fences a little closer in. If inclusionists--be they emergents, inter-faith gurus, or social gospel acolytes--draw their boundaries to exclude evangelicals, fundamentalists, traditional Catholics, and others they deem theological nit-picks, that is their perfect right. It would be nice, however, if they realized they were exclusive like the rest of us. Who knows, with a little dialogue, maybe they will. 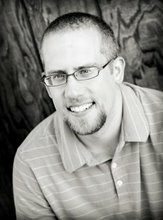 Kevin DeYoung is the Senior Pastor of University Reformed Church in East Lansing, MI. He is the co-author of Why We're Not Emergent: By Two Guys That Should Be (with Ted Kluck) and the author of Freedom and Bondaries: A Pastoral Primer on the Role of Women in the Church and the forthcoming Just Do Something (April 2009). Pastor DeYoung blogs regularly at DeYoung, Restless, and Reformed.